The LWD4V features a solid-state electronic shutter to improve sighting and eliminate dark flickers. 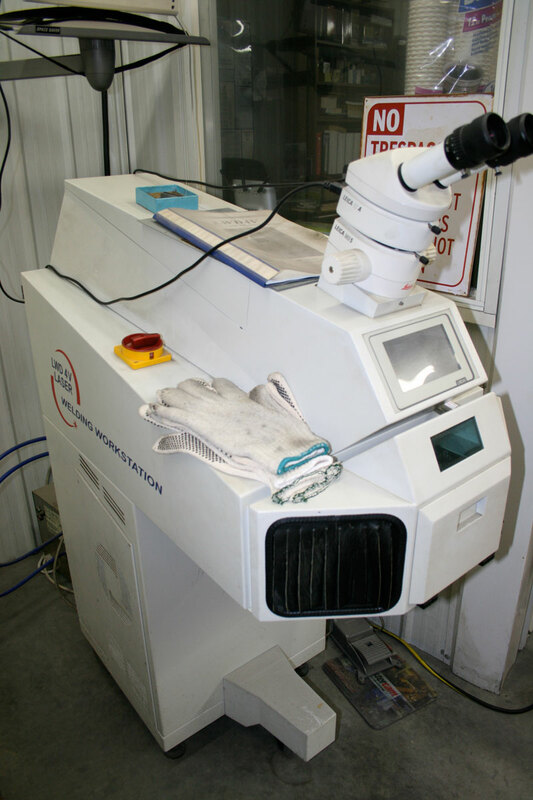 Capable of up to 20 shots per second, the unit features a built-in 25° angle wedge for ergonomic design and comfort, a large cooling system, and 100 program memory cells with 10 Automated Pulse Modulations to control the shape, duration, and heat of the laser beam over a welding zone. ENHANCED optics for microwelding (0.1mm up to 2.0mm). 100 memory parameter storage cells. Leica stereo microscope with 10x to 40x zoom.